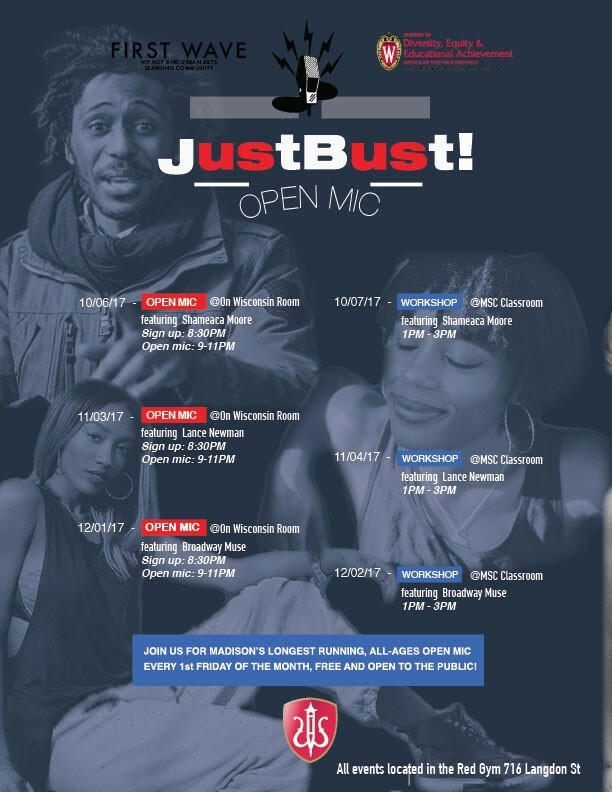 Join us for Madison’s longest running all-ages open mic, Just Bust!, every first Friday of the month in the Red Gym On Wisconsin Room (716 Langdon St. 1st Floor) from 9:00pm-11:00pm. There will be community performances, First Wave mini spotlight performances and First Wave alumni special guest features (October, December and March). A Just Bust! 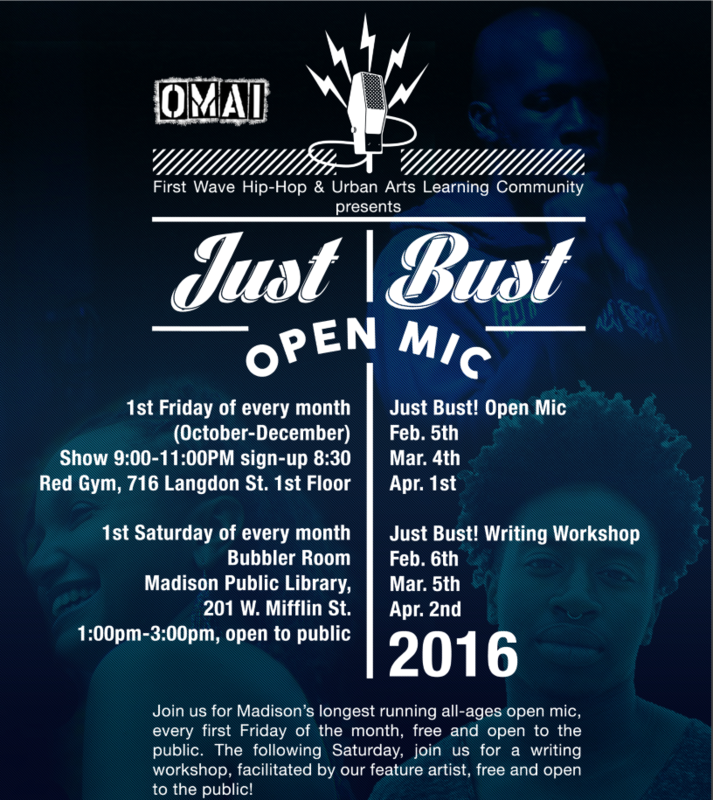 Artistic Workshop is also open to the public the following Saturday from 1pm to 3pm in the UW-Madison Multicultural Student Center (MSC) Lounge. 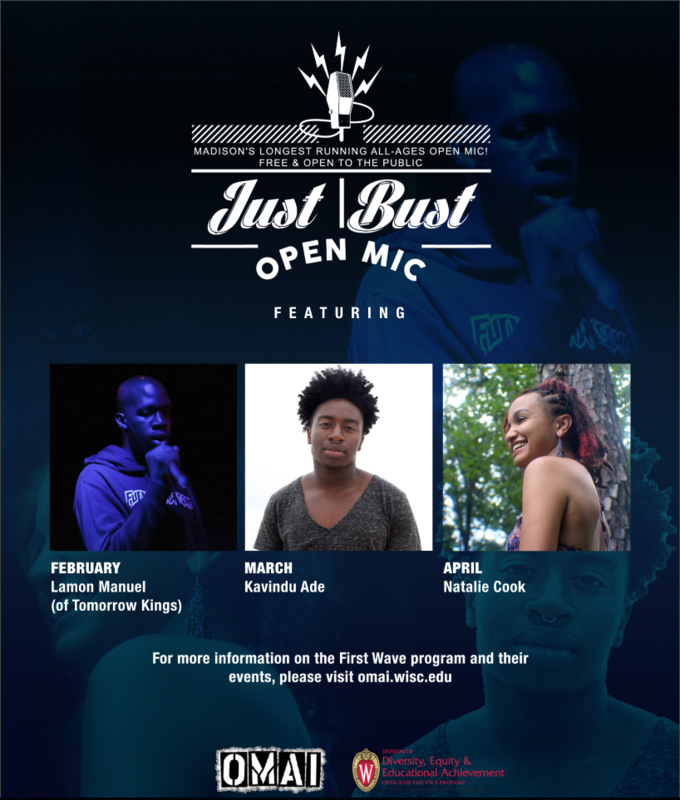 Interested in performing during the open mic portion of the event? Sign up begins at 8:30pm and goes on throughout the night until all slots are filled. Make sure to arrive early to guarantee a spot in the lineup! 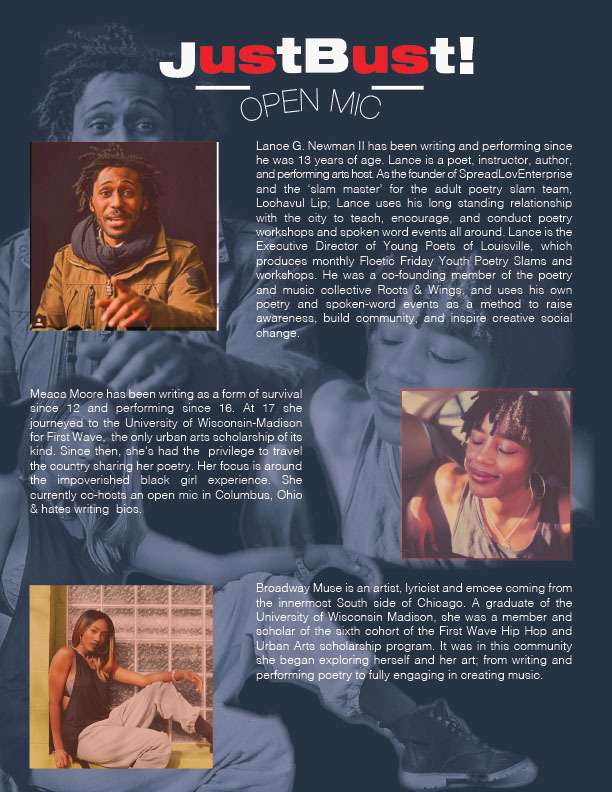 11/3/2017 Open Mic @ On Wisconsin Room featuring Lance Newman Sign up: 8:30 p.m. Open mic: 9-11 p.m.
11/4/2017 Workshop @ MSC Classroom featuring Lance Newman 1 p.m. -3 p.m.
12/01/2017 Open Mic @ On Wisconsin Room featuring Broadway Muse Sign up: 8:30 p.m. Open mic: 9-11 p.m.
12/02/2017 Workshop @ MSC Classroom featuring Broadway Muse 1 p.m. -3 p.m.